Residents of all ages in the Eastvale, CA region can get the orthodontic treatment they need at Bloomvale Dental. Proper alignment of your teeth and bite are important for more than just an attractive smile. Correct alignment can prevent severe problems in the future and save much pain and money. Although orthodontic alignment is ideally achieved during childhood and adolescence, Dr. Chang can also help adults obtain a straight smile and an even bite. 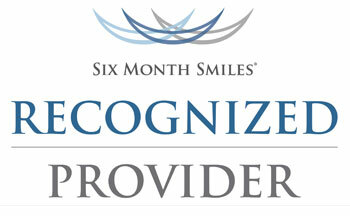 Clear aligners are becoming the preferred choice for straightening teeth. Clear aligners are completely removable. This feature means you can easily take them out to eat, brush, and floss. There is no need to worry about removing tiny food particles from your aligners as you would with old-fashioned braces. Dr. Chang offers traditional bracket and wire orthodontics as well as accelerated orthodontic options. Commonly known as fast braces or Six Month Smiles, these are options for adults and teens who have ever thrown away a retainer or two. There are many options available such as Invisalign and ClearCorrect, but with any of these options, the results depend on how much care and planning is involved. Dr. Chang has invested in advanced training in orthodontics to be able to confidently create beautiful smiles for you and your family. Learn more about your orthodontic options including treatments for kids at Bloomvale Dental by calling (951) 325-4600 now.